Our annual tradition of growing wheatgrass Easter baskets is in full swing. I generally start this project 10 days before Easter. It is not a difficult thing to do, but it does require a specific method. I found this great wheatgrass tutorial a few years ago and refer to it each year. This is our fourth year doing this, and by following this method precisely it has worked each year like magic. The image above was taken at day two of sunshine exposure, and day five/six in the whole process. I purchase organic wheatgrass seeds or wheatberries as they are also known as, from the Sprout House. You can find them on-line easily enough or in store at a health food shop. The wheatberries go a long way. 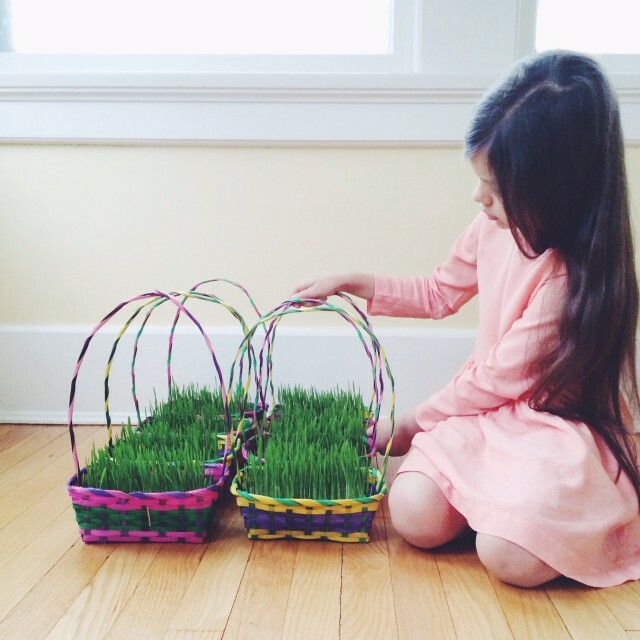 I made twelve of these easter baskets using one cup of dry wheatgrass seeds. The bamboo baskets I purchased from Oriental Trading, they cost $10 a dozen, and so I bought a few dozen and have been giving them away over the years to friends at Easter time. 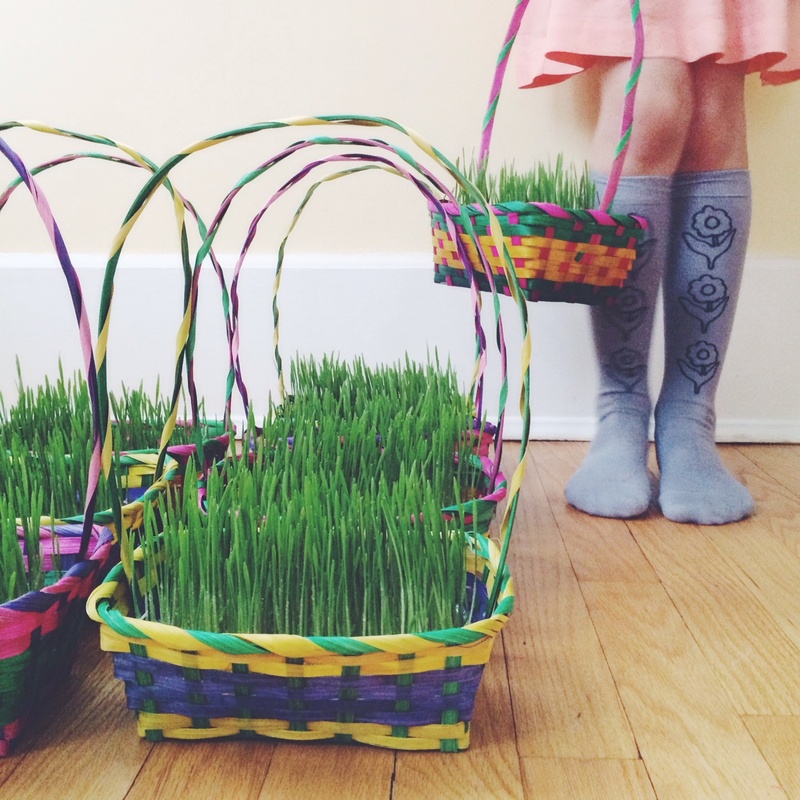 A wheatgrass easter basket is a lovely gift to put a smile on a sweet face. You can read more about our experience of growing wheatgrass: Easter 2013 and Easter 2012. This entry was posted in C E L E B R A T E and tagged easter, wheatgrass.